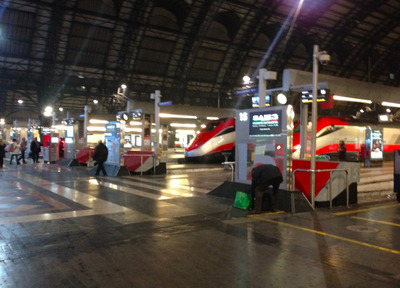 Rome, Italy — There’s a faction of US travellers who dream of having a train system more like what they have in Europe. So today, when I took a train from Milan to Rome, to cover the end of the election, I figured I’d pay attention to what actually makes trains in Italy better. The train I rode looked like this. Anyway, it was a better experience than riding Amtrak. And that came down to two things. 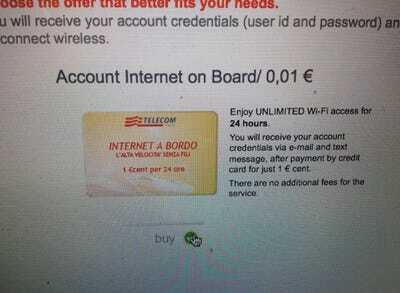 The first one: Blazing fast, free Wifi. Actually, it’s not free. 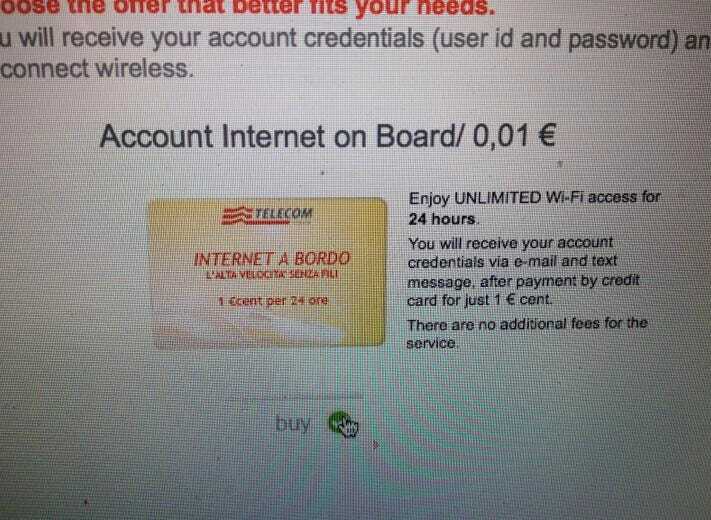 It costs literally one euro cent. Apparently that’s just so they can get your personal data. If you follow any East Coast media elites on Twitter, you’ve certainly seen them whine about the crappy WiFi on Amtrak trains. Anyway, this WiFi just worked, except when the train was going through a tunnel through a mountain, but that’s an understandable flaw. The other superior thing about Italian trains: Espresso carts. 3 or 4 times on the 3 hour trip, an espresso cart came through the aisle, making fresh-poured espresso in little plastic, clinical cups. 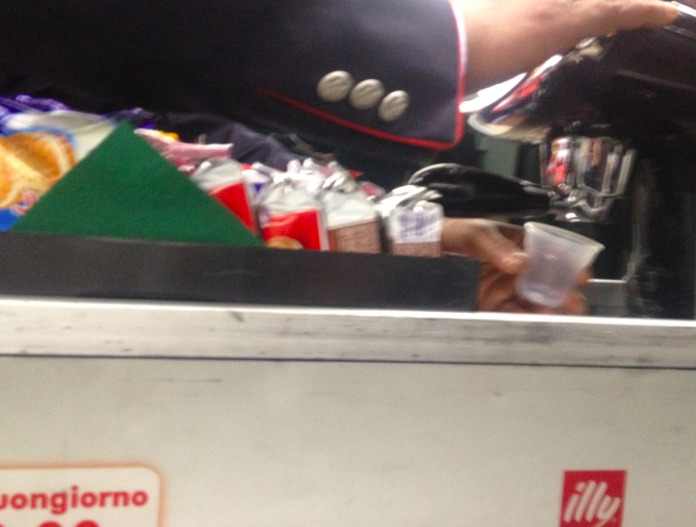 There were also some other snacks on the cart, but the espresso was the highlight. So it’s simple, Amtrak, you could make your service infinitely better by having blazing fast WiFi, and jet-fuel strength espresso carts going up the aisle. Is that too much to ask?